I started back in January 2014 (apparently) so if I was “on track”, I’d have read 30 books by now. I have actually read 13…I’ve read other classics but clearly not so many from this list that 2014 me was oh so excited about. To have read through my list by my target date of January 2019, that means I need to read 18.5 books this year and 18.5 books in 2018. Not a horrifyingly ambitious target but not insignificant when you bear in mind the fact that I read one book from my list during 2016. I mean sure, it was The Day of the Triffids and I really enjoyed it but still. This is my list as it currently stands. The ones that I’ve struck through are the ones that I’ve read. The ones in bold are the ones that I own. 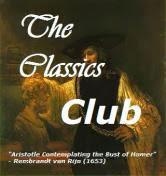 You can find reviews to some of the ones that I’ve read on my Classics Club page here. From a look over my list, my gut feeling for this year is that I definitely want to get to Northanger Abbey because I have the adorable Penguin English Library edition and it’s only teeny weeny. I also really want to get to some Anne Bronte finally. And also to finally pick up The Woman in White properly. I *loved* The Moonstone when we read it as a group a few years ago and I fancy getting to a twisty mystery and Wilkie’s wit before the Winter is out. Other than that, any other tips on what I need to be picking off my list sooner rather than later?